Destructoid's Real Life Psychic E3 2009 Predictions! Every year, all of the videogame Web sites put together a list of predictions of what games they think will be hinted at, talked about, or dramatically unveiled at the world’s biggest annual gaming convention: E3. In fact, we tend to do the same thing -- just last year we did one of those traditional predictions posts as well. This year, however, we decided to do something a little different (this is Destructoid, after all). 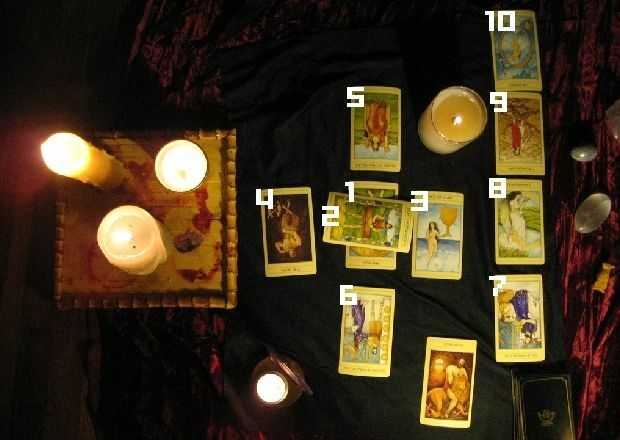 Instead of a normal list of educated guesses based on the varying leaks and rumors that have been cropping up as of late, I decided to explore the seedy streets of Los Angeles to find a real-life psychic to do the predicting for us! And, boy, was my journey a resounding success! The psychic I discovered -- she goes by the name Madame Christine, or her full name, Madame Christine of the Ether (amazing!) -- sat down with me and did full readings on the three major videogame companies: Nintendo, Microsoft, and Sony. In addition, she asked her magic pendulum (I kid you not) a slew of questions provided by you, the community, about specific topics concerning playable games and what-could-be shocking announcements. So, what was the result? Could a random Los Angeles psychic who knows nothing about videogames make more accurate predictions than someone in the gaming industry? What did Madame Christine have to say about next week’s big show? You really have to hit the jump to find out the absolutely fascinating results. You don’t want to miss this! 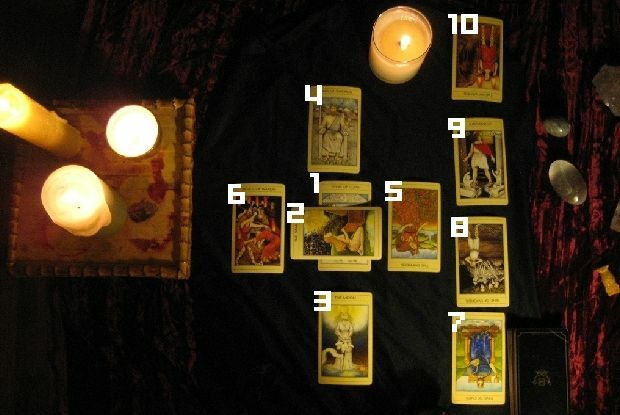 And what did the psychic have to say about each card? Nintendo is in very good standing financially, but there are many problems with how people perceive the company. People want to like the company due to their success, but it is hard for people to find something to love. Nintendo has an attitude that they know everything, but that is a problem. They are having trouble taking in outside criticism. Nintendo has a very defined situation. They are known throughout the world, but are having trouble living up to their own established standards. People still (and will always) love them, though. There is a very conflict-driven leader at Nintendo. Likeable, but slightly misguided. This could mean their presence at E3 is unfocused. Nintendo’s outlook of the future is bathed in negativity. The Empress is a romantic card, but she foresees disappointment. Creative conflict. Nintendo’s current situation holds a lot of creative conflict. There is a leadership issue at Nintendo. Nintendo is going to have a hard time selling their products this year when compared to the past. This has a lot to do with the company’s internal attitude; stubbornness; not giving the consumer what they want. A lot of big decisions are going to be made. Leadership at Nintendo is going to change a lot by the end of the year. The direction of the company is going to be much more defined. There are not going to be a lot of new, ground-breaking games coming from Nintendo. Look for a lot of variants on things you have seen before. Microsoft is currently moving in a very balanced direction -- nothing too risky, nothing too safe. As of now, the company is all about balance. Money, money, money! The reason things are not changing very much within Microsoft is because money is the driving force. Microsoft is not hiding the fact that they are fooling people ... but people are fine with being fooled. According to the psychic, this is not a good card to have here. Again, money. Microsoft is going to focus a lot on things that are sure to make them a lot of money at E3. E3 will mark a creative change for Microsoft -- one that will continue into its future. Microsoft has recently made an effort to do something against its status quo. This could mean a new direction in the future. There are a lot of good people working for Microsoft right now. It is a very stable time for the company. For the third time, money came up. People perceive Microsoft as a company that is only about money. This year Microsoft will release a videogame that no one has ever seen before. It will be very revolutionary for the industry. Microsoft is heading in a very positive direction. People have a lot of unrealistic expectations about what to expect, but this is the year Microsoft will be a “dream factory” and hopefully meet a lot of its inflated promises. Sony is at a time of immense clarity. After a lot of turmoil, they are finally seeing the light at the end of the tunnel. Sony’s current situation is being dictated by money. Just recently, Sony made a dramatic decision to make a change. It was a very emotional choice, but a very positive one. Apparently, this is a very good card to show up here. At E3, everyone will be dancing to Sony’s tune. All of its announcements and game reveals will have a big influence on the industry. During the conference, Sony will be a force to be reckoned with. All the bad advice they have been taking will finally remedy itself. Instead of focusing on trends, Sony is going to use its strengths to help make the company financially successful. This will be accomplished through strong products and smart marketing. Sony will make the most money it has ever made this year. The people working at Sony are still listening to some bad advice, but are slowly learning to ignore it and move in a new direction. Because of this, Sony will make a lot of money in the future. People finally believe Sony will be a success; it’s not just talk anymore. Sony’s future is hazy, but it looks good. The leaders at Sony are going to have a more positive influence on the way the company is headed. The final outcome for Sony is that everything is coming full circle. The company won’t be releasing as much into the market, but because all its software will be such a huge success, it will be making money. People are going to be talking about Sony, and actually want to play the games released on their console more than any other. The cards speak for themselves, but it looks like all three companies are going to have a very interesting E3 and an even more interesting year! While I tried to stay completely silent during the dramatic readings, I couldn’t help but gasp ever-so-quietly at a couple of Madame Christine’s predictions: They seemed to be pretty dead-on! Do you agree? Most interesting (to me, at least) was the revelation that Nintendo would be focusing on a lot of sequels at E3 and that this may be -- finally! -- the year of Sony (something the company has been promising since the PS3 was released). But now I know you want some real specifics about what may happen at E3, right? This is the part where you (unknowingly) got involved! 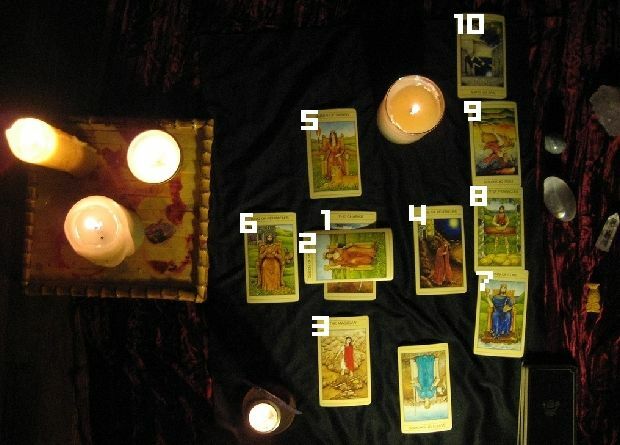 After the Tarot Cards were finished, Madame Christine lit another candle, surrounded it with various stones and gems, and pulled out a clear crystal hanging from a skinny chain. Madame Christine was going to answer all of my community questions using something called pendulum divination. Basically -- I say “basically,” but there is absolutely nothing basic about all of this -- Madame Christine holds the pendulum in one hand and dangles it over the other, palm up. After I ask a question, Madame Christine closes her eyes and, no joke, the pendulum starts to spin either clockwise or counter-clockwise. 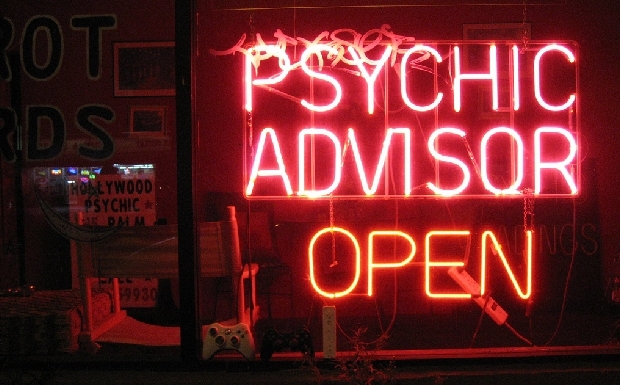 Now, I never really believed in any of this psychic craziness, but, let me just tell you, after meeting with Madame Christine, I am a believer! True, Madame Christine could have been moving the pendulum herself, but I saw that thing swinging like crazy with my very eyes, and her hand was perfectly still. It was some crazy shlt, I’ll tell you that right now. 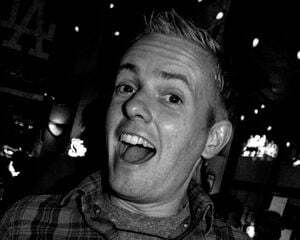 KyleGamgee asks: Will Rare announce Killer Instinct for PSN/XBLA? MrSadistic asks: Will Sony announce The Lost and Damned (GTA IV expansion) for the PlayStation 3? Pedrovay2003 asks: Will Nintendo announce it is publishing Fatal Frame IV in the US and Europe? SilverDragon1979 asks: Will Capcom announce a new Strider game for the Xbox 360 and the PS3 that will release a couple of months after a remake of the original Strider game for PSN and XBLA? SilverDragon1979 asks: Will Nintendo announce a new Star Fox game? Wii it have online multiplayer support? SilverDragon1979 asks: Will Sony decide to add a party system and cross-game XMB voice chat to the PlayStation 3? The pendulum responds: A strong yes. SilverDragon1979 asks: Will Sega announce a new, current generation Ecco the Dolphin game? Tubatic asks: Will a new Mega Man 2D side-scroller be announced? AKK asks: Will No More Heroes 2 be playable? eternalplayer2345 asks: Will Rare announce Blast Corps 2? eternalplayer2345 asks: Will Sin and Punishment 2 finally get a release date? Mirax asks: Will the new Zelda game for the Wii be at least mentioned? Bluexy asks: Will Square-Enix finally announce their new MMO? Bluexy asks: Will Heroes of Telara, from Trion, be the surprise hit MMO announcement? Sweetchuck asks: Will LostWinds be announced as a full retail game? FalconReaper asks: Will Square Enix announce the release date of Kingdom Hearts: 358/2 Days? What about Kingdom Hearts: Birth by Sleep? Or better yet, will they announce Kingdom Hearts 3? 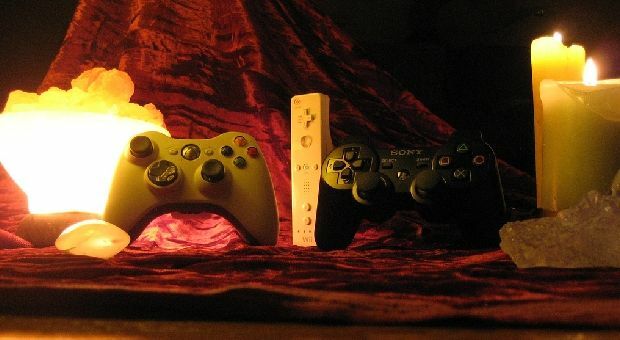 HarassmentPanda asks: Will Sony drop the price on the PlayStation 3? 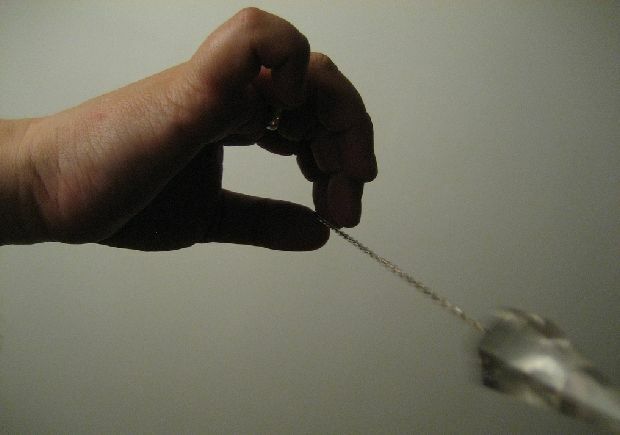 The pendulum responds: A very weak yes. Takeshi asks: Will there be any HUGE unexpected exclusives revealed? Takeshi asks: Will Microsoft reveal the new Xbox? 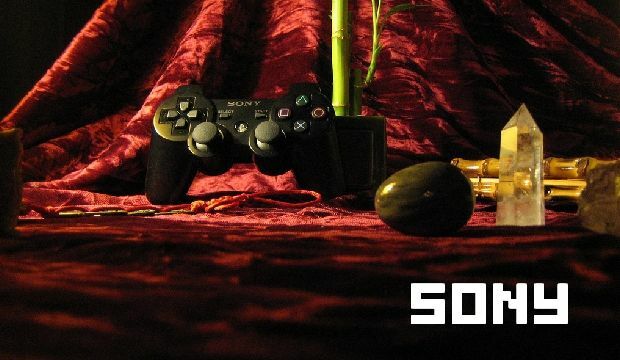 Takeshi asks: Will Sony reveal the new PSP? What about the rumored PS3 slim? HydroTonix asks: Will Team ICO reveal its new game? BS3 Owner asks: Will a brand new Yakuza game for the PlayStation 3 that is set in the West be revealed? DanlHaas asks: Will we see Fallout: New Vegas? DanlHaas asks: Will Capcom announce yet another retro-style game to follow up Mega Man 9? Daxelman asks: Will Platinum Games announce a spiritual successor to Okami? Corak asks: Will a Destructoid editor get lost on the way back to their hotel and meet another strange homeless person? Corak asks: Will there be swine flu masks for sale at inflated prices, perhaps branded with developer logos? LK4O4 asks: Will Capcom announce a US version of Tatsunoko vs. Capcom? Artemus asks: Will Accolade rise from the grave and announce a new Bubsy game? Puppy Licks asks: Will LucasArts announce a new Full Throttle game? Garrison asks: Will Nintendo release Mother 3 on the DS? gatorsax2010 asks: Will all the recent 3D Realms/Duke Nukem Forever revelations turn out to be some elaborate marketing scheme? gatorsax2010 asks: Will 2K have someone in a creepy Big Sister costume roaming the floor? CelicaCrazed asks: Is there a Sega Dreamcast 2 in existence? CelicaCrazed asks: Will a new 2D Sonic game for PSN/Xbox Live/WiiWare be announced? Tubatic asks: Will Dragon Quest IX make an appearance this year? DanGale asks: Will we see anything of a new F-Zero? DanGale asks: Will Mirror's Edge 2 be officially announced? DanGale asks: Will a new Treasure game be announced? Will it be Project RS3? kagatoASUKA89 asks: Will Modern Warfare 2 be playable? Guagloves asks: Will Nintendo announce a Paper Mario game for the DS? 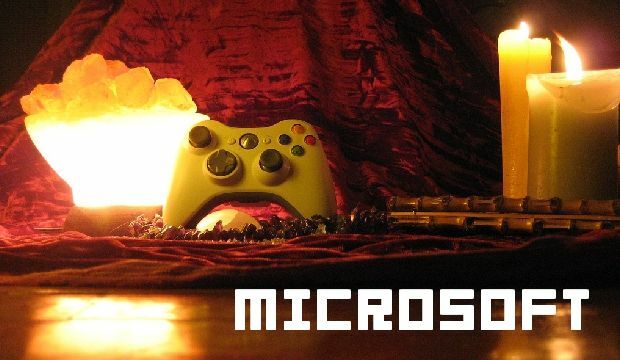 Guagloves asks: Will Microsoft reveal a motion controller? Will it have a game developed by Rare packed in with the device? Guagloves asks: Will Eternal Darkness 2 get announced? Cowboy TTop asks: Will Assassin's Creed 2 be playable? Tha Meat asks: Will Apple be at E3 promoting the iPhone/iPod Touch’s gaming capabilities? Eagle 88 asks: Any new information on Valkyria Chronicles? Perri asks: Will Red Steel 2 be playable? Perri asks: Will EA announce an exercise game for Microsoft's rumored motion device? Perri asks: Will God of War III be playable? Was the recent announcement of the Metroid Prime Trilogy for the Wii planned to coincide with the shocking announcement of a brand new Metroid game? Will Pikmin 3 be playable? Even though Ubisoft said there would be no Beyond Good & Evil at the show, will Beyond Good & Evil 2 make a surprise appearance? Pretty gosh darn interesting, huh? While some of these predictions may seem obvious (the announcement of the new PSP), others come as a huge surprise (Strider game!). And some ... well, no offense to the psychic ... but some of these don’t have a chance in hell of being true (a Blast Corps sequel? Really?). But, then again, who am I to question the power of the spirits? After all of this (epic) information, what do you think? Do you think Madame Christine of the Ether was dead-on, or does she need to throw away all those magic crystals? Which predictions do you think are the most accurate? The most insane? There is only one more week before we find out exactly what will happen at E3. Will Madame Christine reveal how gifted she truly is ... or will I not be calling her back for another reading next year?